Hang your Tardis key from this 4th Doctor Pop Keychain, with this Tom Baker styled version of the Doctor. Now you can carry your favourite Doctor with you wherever you go. 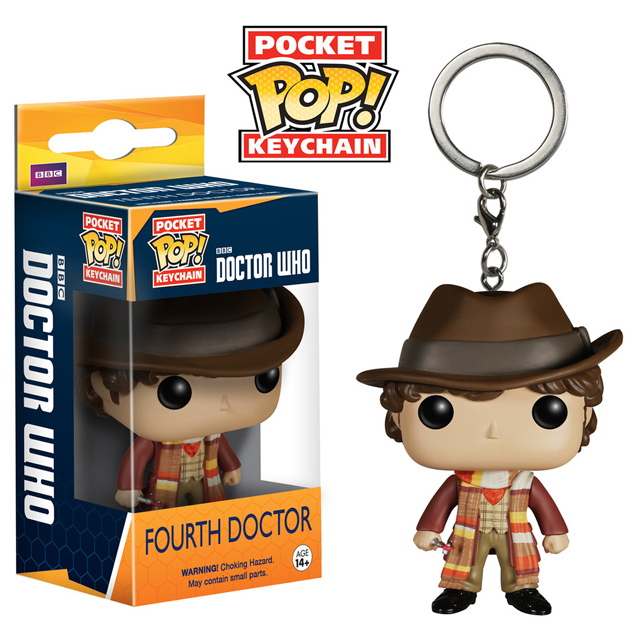 You will be ready to face the day when you have Tom Baker as the 4th Doctor holding onto your keys and keeping them safe from Daleks. Approximately 4cm in height, this will be a cool addition to your Doctor Who collection, even without Jelly Babies.